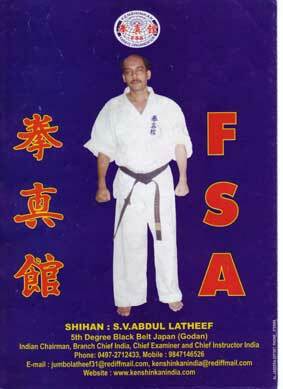 "As well as promoting FSA Kenshinkan throughout southern India, S.V. 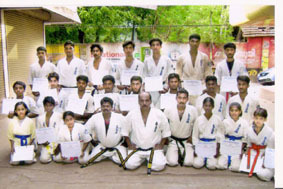 Abdul Latheef has established dojos in Oman and the U.A.E. Teaching karate in schools and hosting the Hayama Cup each year, he heads up a dynamic branch that makes an important contribution to the association."